Are you frustrated by your current Filemaker applications? Adatasol can assist with all levels of Filemaker Pro support from complex conversions and upgrades to integrations of your favorite business apps. The Adatasol, Inc. team can develop custom programs to make your Filemaker software application look better, perform better and work across your mobile devices. Our team of Filemaker consultants will develop a solution that meets all of your requirements whether you need a completely new system or an upgrade for an existing one. Your objectives are our objectives. Adatasol will help you improve your company’s efficiency by eliminating redundant tasks and automate time-consuming functions with a custom Filemaker application. Get access to real-time metrics and superior reporting tools to make effective business decisions. Go Mobile Faster & Easier with Filemaker Pro! Want to automate your crews and sales staff with iPads running your business applications? 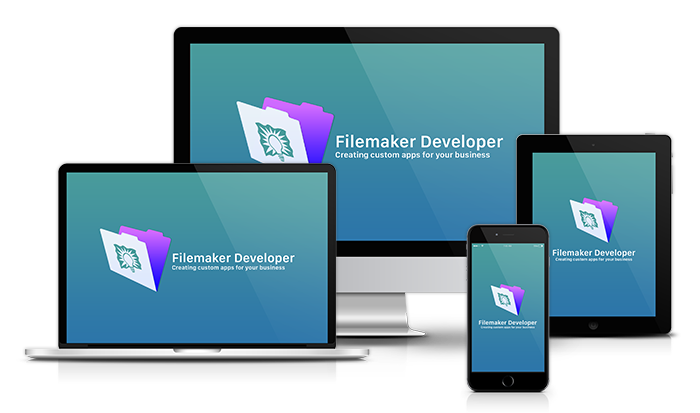 Filemaker Pro offers one of the fastest, most efficient development platforms to go mobile. Our Filemaker developer team maintains a solid track record of being on-time and on-budget with great results. Your time is important to us, and we want to be certain you find high value both in our customer service and the finished product. We believe that being behind schedule or charging unrealistic prices leads to failure in the long run. We will work diligently to avoid surprises. If a project’s scope should change due to unforeseen parameters, we will continuously update estimates as we learn more about the solution you need, keeping you posted on timeframes and costs as much as possible so you can always be prepared. With new Filemaker applications, we focus our energy on talking through your issues, needs, and workflow so we fully understand the project. This deliberation also guides us in designing your perfect business solution. We will capture information and provide it to your team so everyone can access it where and when they need it, both mobile team members on iPad and those in the office on desktops. We will extend the solution to fit your business process and align with business needs. Finally, we will connect all related information together in an interface that shows just what we need and no more. Adatasol provides continuous support for the Filemaker projects we implement. 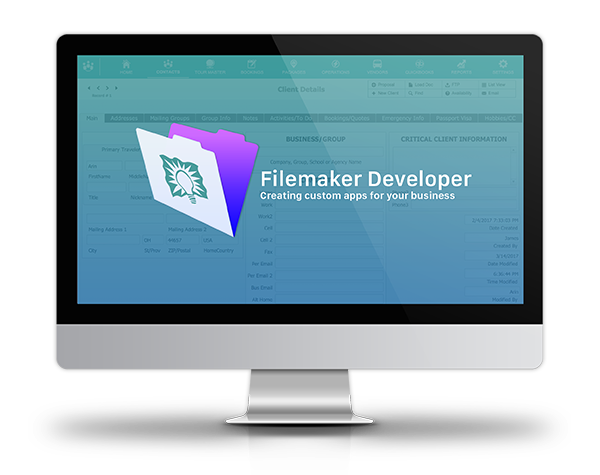 Our Filemaker developers will be there to make changes and enhancements as your team’s needs change. We will ensure your Filemaker applications are continuously supported as your business changes. Rely on Adatasol’s Filemaker consultants to give you the best development experience. Whether you need to upgrade your current program or implement a completely new one, we will develop a solution that works. We excel with complex Filemaker updates and migrations. We are a FileMaker company that focuses on results. Our software typically results in a 10 to 1 improvement in productivity. Projects that would take 10 hours or 10 people take just 1 after our software implementation. Our clients actively take part in the development process to ensure our team fully understands your process and specifications. Get the most out of your databases by converting old, underperforming Access databases to Filemaker Pro. With the input of our clients, we can develop a Filemaker application unique to your business growth objectives. Filemaker provides superior reporting, ease of customization, web publishing and scalability and we’ll help you make the most of these benefits. Filemaker management software programs, an efficient and comprehensive business process solution. Manage your firm and stay organized with a comprehensive program design specifically for you.